Posted in All Access Updates | Tagged 2014 pro championship season, Chris Forsberg, drifting, Formula D, Formula DRIFT, Homestead-miami speedway, Kenneth Moen, round 3: miami heat, Vaughn Gittin Jr.
MIAMI – One of the most exciting forms of motorsports is coming to Homestead-Miami Speedway May 30-31. 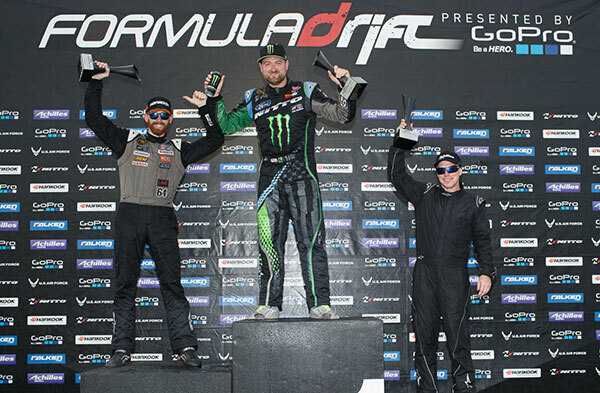 Round 3 of the Formula DRIFT Championship will feature drivers from around the world competing in well-executed, controlled sideway slides at high speed on the speedway’s 2.21 mile infield road course. Track President Matthew Becherer made the announcement. Japan is credited with the creation of drifting as early as the 1970s. As it gained recognition in the 80s and 90s, it became a popular underground movement. Drifting, in simple terms, is when a driver intentionally puts his car into a controlled slide around a corner at high speed. 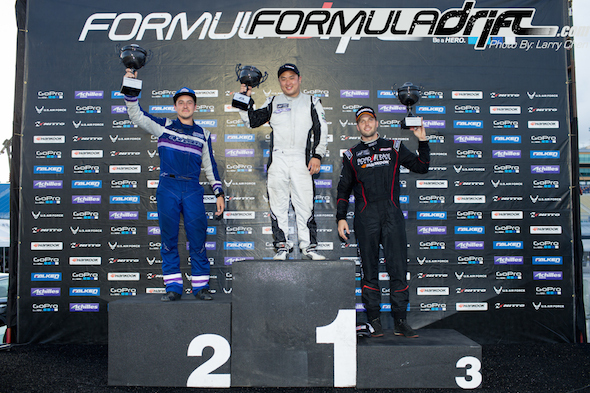 It is a skilled motorsport that is based on execution, skill and style instead of the fastest time. But once it landed on American shores is when drifting really took off exponentially around the world. Drifting is a learned technique in which the driver pushes the car to its limits while maintaining control for the full length of the curve. A car is drifting when the front wheels are pointing in the opposite direction of the turn (for example, the car is turning left but the wheels are pointed right and vice versa). Drift cars are light to moderate weight rear-wheel-drive or all-wheel-drive coupes and sedans. Drivers will qualify individually to determine their position in a bracket that will then determine the “head-to-head” match- ups. Head-to-head runs are judged and based on a number of criteria with the winner moving into the next round. The goal in drifting is not to have the fastest time or pass the most cars. Instead, it is judged on the skill of the driver, car control, speed, and proximity to the other car and barriers. The drivers will also be judged on how well they follow the predetermined “line,” which is the path that provides the highest speed and angle the cars can handle. 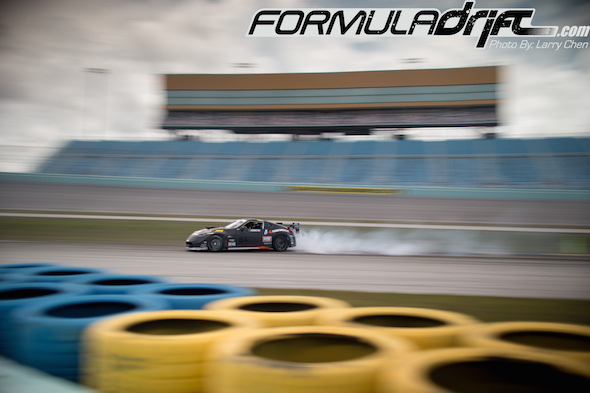 The Formula DRIFT drivers will utilize Turns 2, 3, 4 and 5 of the Homestead-Miami Speedway infield road course. Individual daily tickets are $28 while two-day passes that include Friday (May 30) practices and qualifying are $32. Tickets for the event are on sale now here. They are also available by phone at 305.230.5255. The Speedway has been open since 1995 following an initiative to spur economic recovery in the aftermath of Hurricane Andrew. The 650-acre facility is active more than 280 days per year and will host NASCAR’s championship races during Ford Championship Weekend (November 14-16, 2014) for the 13th consecutive year. The NASCAR Sprint Cup Series championship Ford EcoBoost 400 is broadcast live on TV and radio to 200 countries in 24 languages. Homestead-Miami Speedway, featuring a 1.5-mile oval and 2.21- mile road course, generates more than $250 million annually for the region.